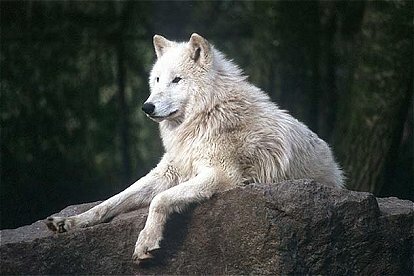 The Tundra Wolf Canis lupus albus is one of the largest subspecies of the gray wolf. It was classified as a subspecies by Robert Kerr in 1792. The Tundra Wolves primarily reside in the northern arctic and boreal regions of Russia roughly between 65 and 71 degrees latitude. The Tundra Wolf can measure up to 7 feet in length from nose to end of tail. There have been unconfirmed reports of some weighing as much as 220 pounds. However, on average, Tundra Wolves weigh from 100 to 125 pounds. Their height can be anywhere from 28 to 38 inches. Most have coats that are a combination of grey, black, rust, and silver grey. They are known to have long thick coats with dense underfur, and are often hunted for them. The average life span is approximately 16 years. They primarily prey on large mammals like deer, wapiti, moose, caribou, bison, musk ox and mountain sheep. 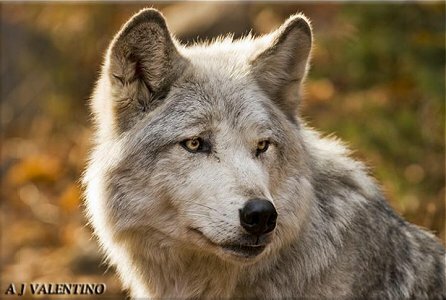 Because catching large animals is not a daily occurrence, an adult Tundra Wolf may eat up to 20 pounds in one feeding. Contrary to the belief that wolves target mainly infirm creatures, research of wolves in Eurasia has shown that in some cases, up to 93% of their targeted prey have no physical or mental hindrance. Breeding season is usually late March through April, reasonably later in the year than for most wolves because of the high latitude of the Tundra Wolves habitat. During this time, females are in heat for 5 to 15 days. After mating, gestation period for the female is 62 to 63 days, after which she gives birth to usually between 2 and 6 pups. 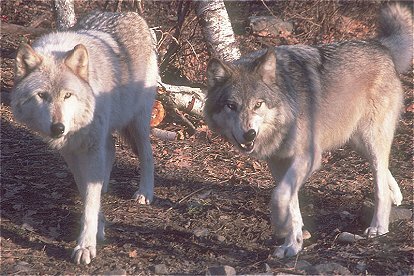 Like many other species, the Tundra Wolf's greatest enemies are loggers and hunters. In Russia and a number of former Soviet states, wolves can still be killed in any number without a permit, at any time of the year, using whatever methods are handy. Regional governments and hunting societies have even offered bounties of up to $190 for each wolf slain. Wolves have long symbolized treachery in Russian folk tales, and wolf hunting has been part of village culture for centuries. These attitudes are still well-entrenched. Tundra Wolves have only recently been seen on Wrangle Island after having been totally eliminated from a number of the Arctic Islands north of Siberia. They have been classed as 'Least Concern'.